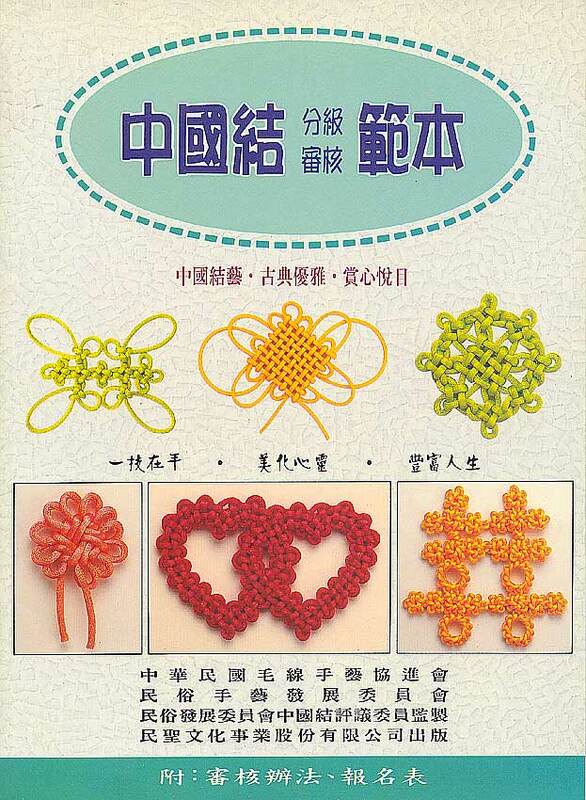 A beginner's book with both individual knot instructions as well as assembly ideas. 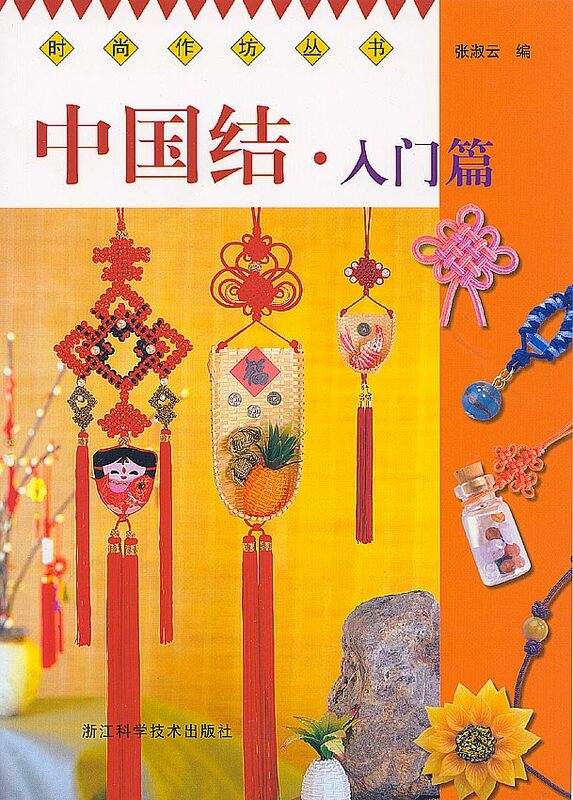 Chinese and English versions available. Buy this book from Chapters.CA, Amazon.com., Barnes & Noble, Amazon.co.JP, Amazon.co.UK, Amazon.DE. Buy this book from Chapters.CA, Amazon.com., Barnes & Noble, Amazon.co.JP, Amazon.co.UK. Mostly a project/demonstration type book with examples ranging from key chains to inspiration for stenciling. 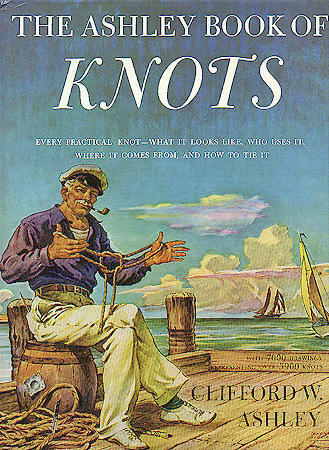 There are only a few new knots including some more woven type knots. Being able to actually read the text would be nice, but is by no means necessary in order to make good use of the book. Also published by Tuttle, the contact information should be the same. 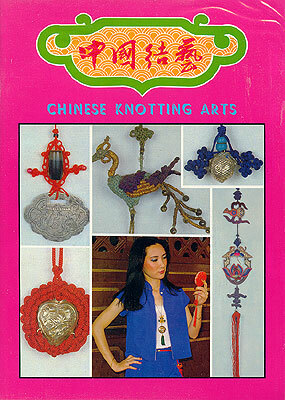 A translation of Chinese Knotting 2, the contents are identical down to the illustrations ('80's fashions!). 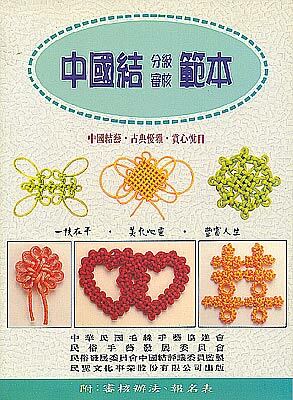 A section about variations on embellishing the knots is made much clearer and more useful when you can read the text. Tuttle offers a 30% discount for web-shoppers. Chapters.CA, Amazon.com., Barnes & Noble, Amazon.co.JP, Amazon.co.UK. If the last book didn't have enough new knots, this book more than makes up for it. Ms. Chen has clearly spent a lot of time categorizing and pondering the knots and how the "core" knots might be varied to make new ones. 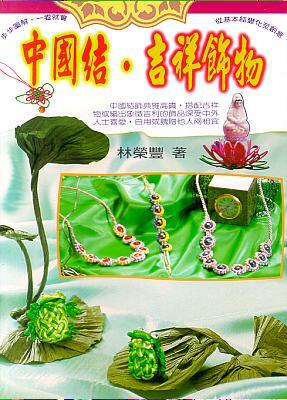 In this volume she shows us the wonderful results with 16 variations of the flower knot alone. 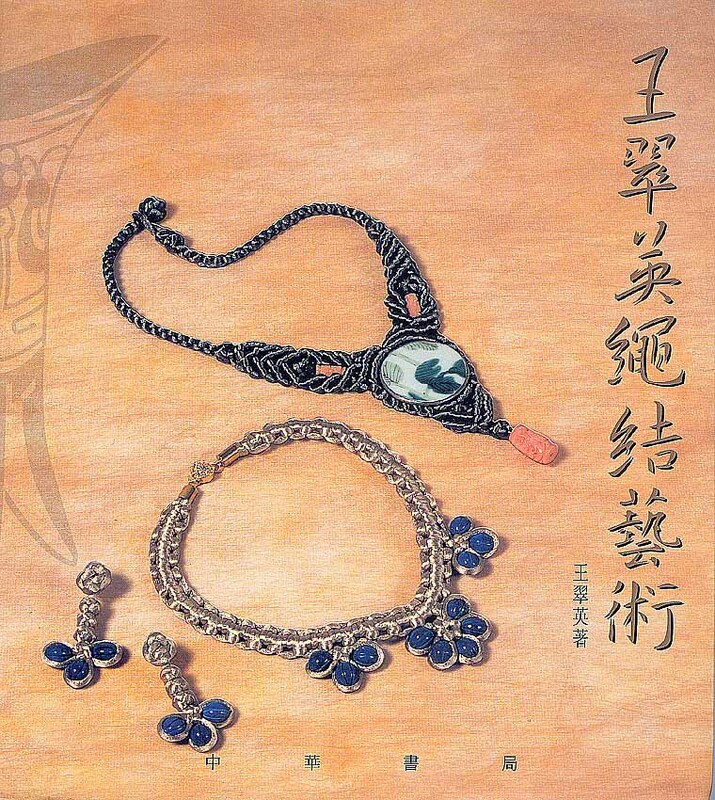 The book begins with what looks like the Chinese version of the history of Chinese knotting that was published in The History and Science of Knots and ends with some examples of the new knots in use in a variety of materials. 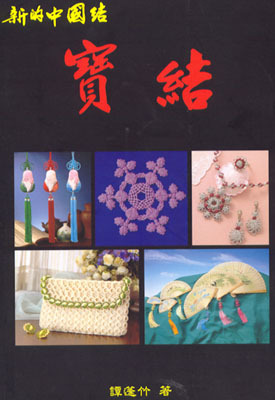 This is the English translation of Chinese Knotting 3. 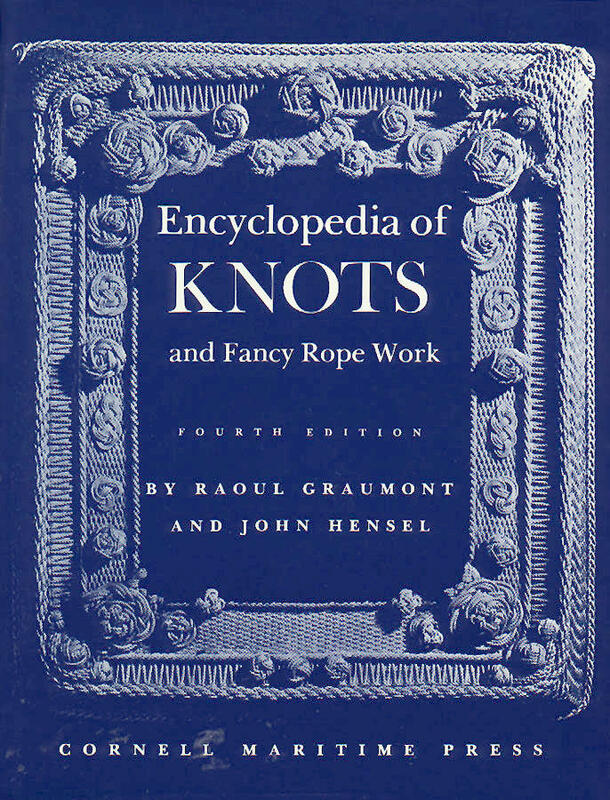 This book takes the basic 11 knots and expands them to 14 (the constellation knot!) and then explores the possible variations of them. 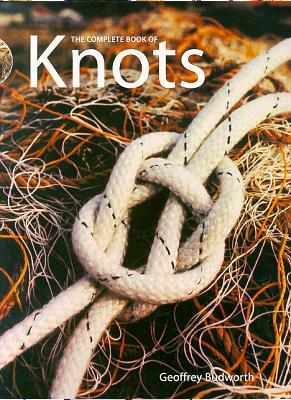 There are 56 new knots according to the promotional blurb on the back of the book. The translation is flawed. Get it anyways. 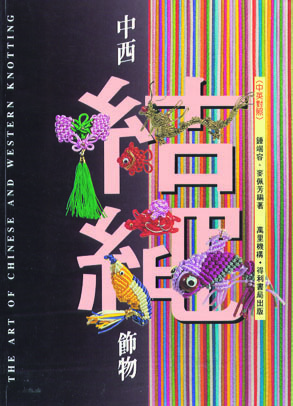 The original Chinese version is out of print and this new version is a heck of a lot easier to get and the material contained within is still groundbreaking and completely inspiring if you've not seen it before. This is a tri-lingual book (Chinese, English, and Japanese. I'm sure the Japanese translator's name is properly given credit, but I can't read it) with no instruction in it, just designs and inspirations. As a result of most of the inspirations being paintings, the works are fairly uniformly flat, not unlike quilling pieces. 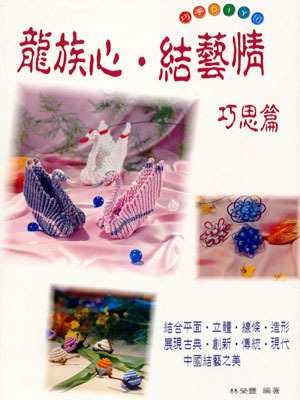 An especially clear and well illustrated book with slightly more complicated projects than the other introductory books. It also seems to be(? )/have a catalog in the back for "Clever Arts" which will sell you all the supplies for all the projects in the book, in pre-packaged packets, no less 8). The Clever Arts contact info has the same phone number as the writer/publisher, so I'd guess that it has the same address as well, although there is a small map in the book (in case you're in town 8). 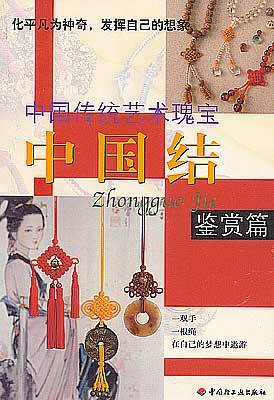 (Sequel with slight title change to the Classical Chinese Knotting book. There is also a survey in this book asking what you want to see in a third book that they have planned). 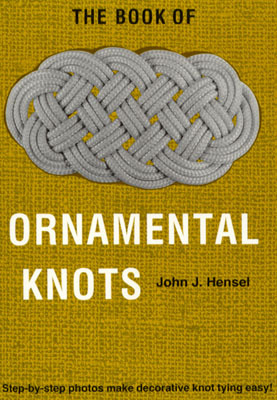 This installment focuses more on the two-sided woven knots, with many exercises for the reader. For a book with such nice clear illustrations it is remarkably hard to follow (for me, at least). I think that this is because the illustrator shows both ends of the string being worked into the knot at the same time. Buy this book from Chapters.CA, Amazon.com., Barnes & Noble, Amazon.co.JP, Amazon.co.UK, Amazon.DE, Amazon.FR. A heavily macrame flavoured book consisting almost entirely of flat knots. Buy this book from Chapters.CA, Amazon.com., Barnes & Noble, Amazon.co.JP, Amazon.co.UK, Amazon.FR. 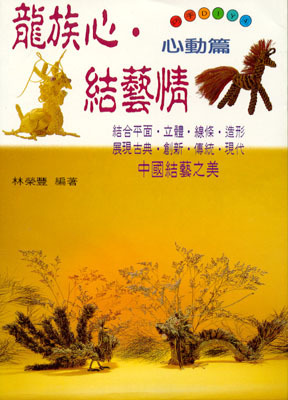 I first saw this book over 20 years ago in Taiwan when I was first introduced to the art. At that time I was only interested in buying one book (how times have changed! 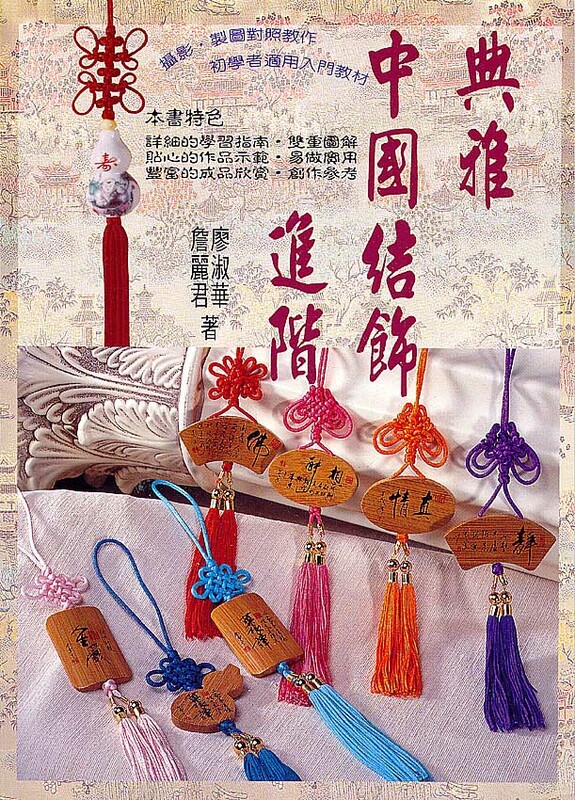 8) and I judged the best one to be Classical Chinese Knotting. So when I saw this one recently I snapped it up for nostalgia's sake. 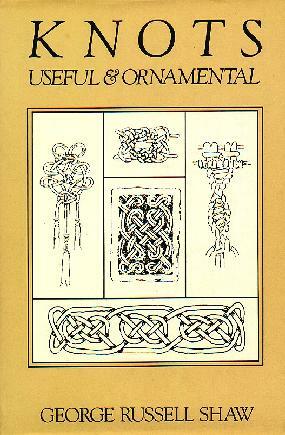 It is a basic knot book that shades into some fairly involved projects (eg. really big mystic knots). 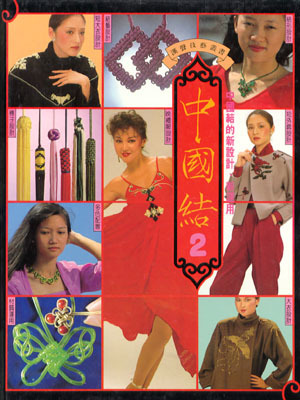 The book has not been updated in any way, so you can see the models with their fashionable 20 years ago clothing and hair. About one knot per project is covered, but the projects are very nice and if you don't mind not having your hands held it is a pretty book. 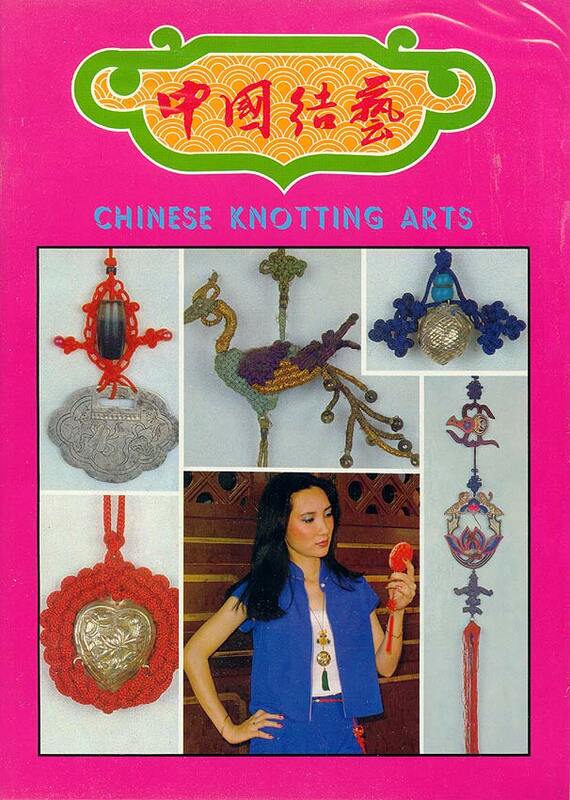 Despite the title, however, you definitely wouldn't want to make this your introduction to Chinese knotting without a healthy dose of hubris and a very independent spirit. Like the other book in this series, this book is light on the instructions but good for inspiration. While the title indicates that this is a more advanced step in Chinese knotting, the knots shown are probably easier, although there are fewer instructions, and the projects are not much simpler. 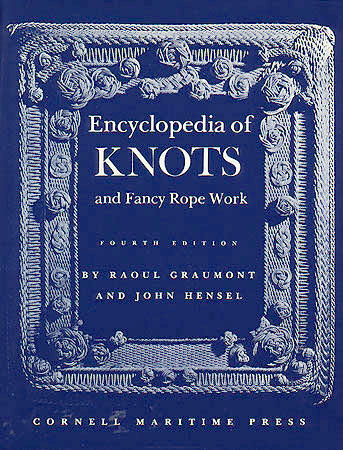 Sequel to The Complete Book of Knots, this book also follows the same general design of clear line drawing illustrations and the occasional photo. 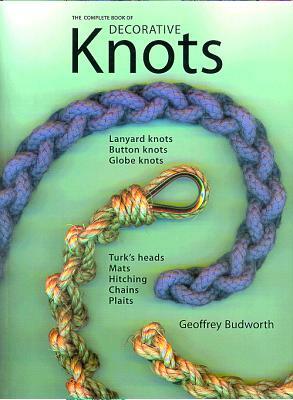 The highlights include some nifty globe knots and general extensible instructions on turks head knots. Labelled DIY which I take to mean "Do It Yourself", this line of short books is clearly illustrated with photographs in most cases and the occasional line drawing. 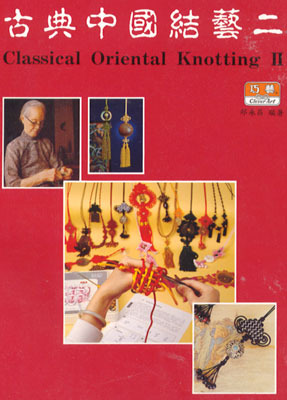 As with the Clever Arts Classical books, these books contain (brief) parts that are obviously catalogs for a Chinese knotting supplies vendor. The highlight of book one is the variations on flower knot embellishments. 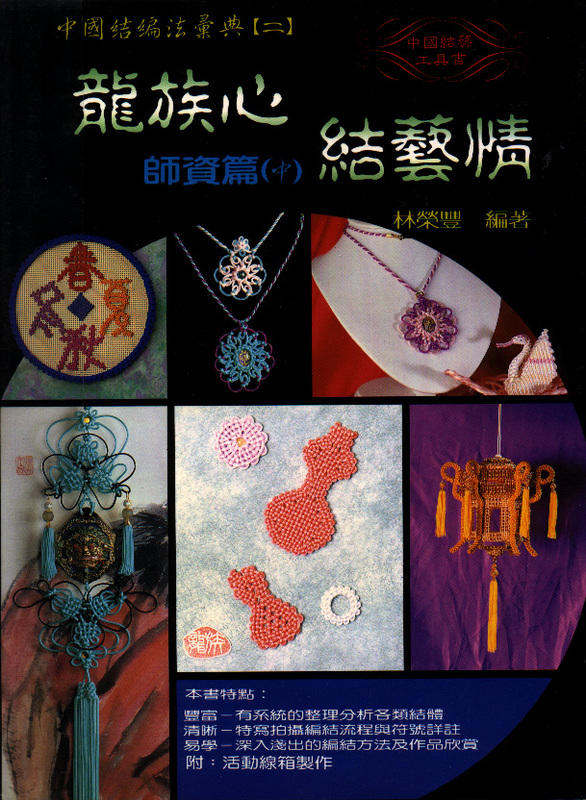 Book two is mostly illustrated by line drawings versus photographs and is composed of some fairly standard pendant patterns that you will also find in other basic books. Book three is about gift wrapping so I don't have a copy. The highlights of book four are the instructions and embellishment variations on the woven knot, plus some snazzy dragon and phoenix patterns. After book four, this line of books changes slightly. 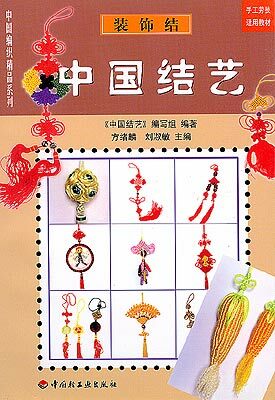 Of course, the fact that I purchased them in San Francisco Chinatown versus Taiwan might have something to do with it (although they are still in Chinese). 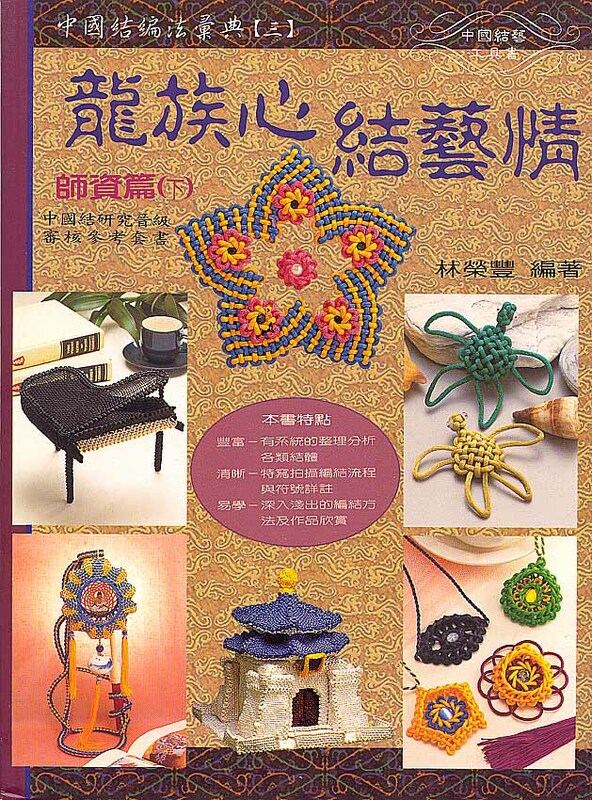 In any case, the style is obviously the same, some of the instructions are repeated and the previous books are advertised inside, but the DIY labelling is gone from the cover. 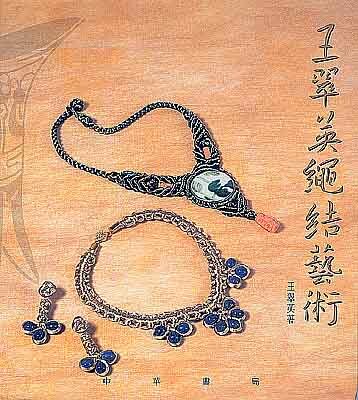 The highlights of book six are more cool variations on the woven knot, plus a simple but effective "bezel set my bead in string" technique (which you can see on the cover illustration). Labelled #1 in a few places and #10 in others, I am going with 10. This volume mostly illustrates the use of braiding and simple knotting for creating bracelets, belts and necklaces. Mostly a basic knot book (although can it be called that without the double-connection or double coin knots?) 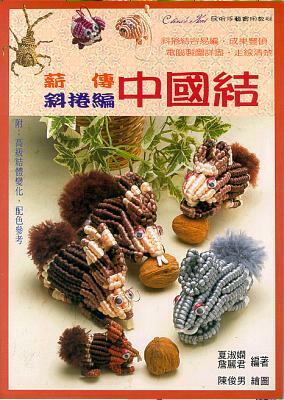 with the first instance of instructions for a few of the bao knots actually illustrated. 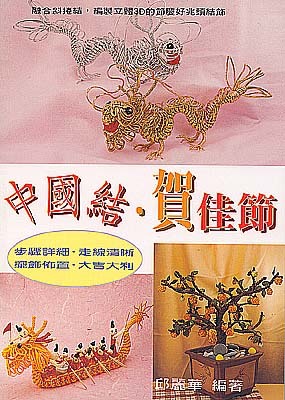 Sometime after the DIY was dropped, they added the "China's Kont" [sic] label (at least both book 16 and 17 have this label). 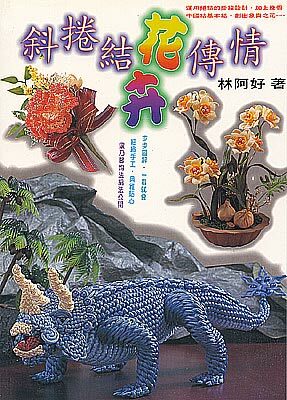 This installment is mostly sculptural pieces (animals and plants, but with a Chinese twist) that you often found in old macrame booklets. The highlight for me is the photo (no instructions!) of a very interesting dragon. This installment is also mostly sculptural pieces. The designs are more elaborate than those in book 16, so line drawing patterns have replaced the step by step photo instructions. On the larger side of the DIY series, but numbered (seemingly) in sequence with the small ones, this installment has no instructions. 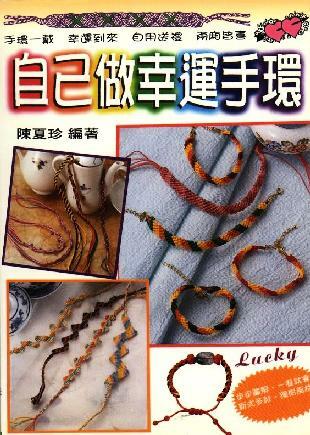 It is a catalog of individual knots (and a few tassel styles). The back clearly has some forms to fill out and contact info for a CHCA (an English acronym, but only Chinese characters to tell us what it all means). 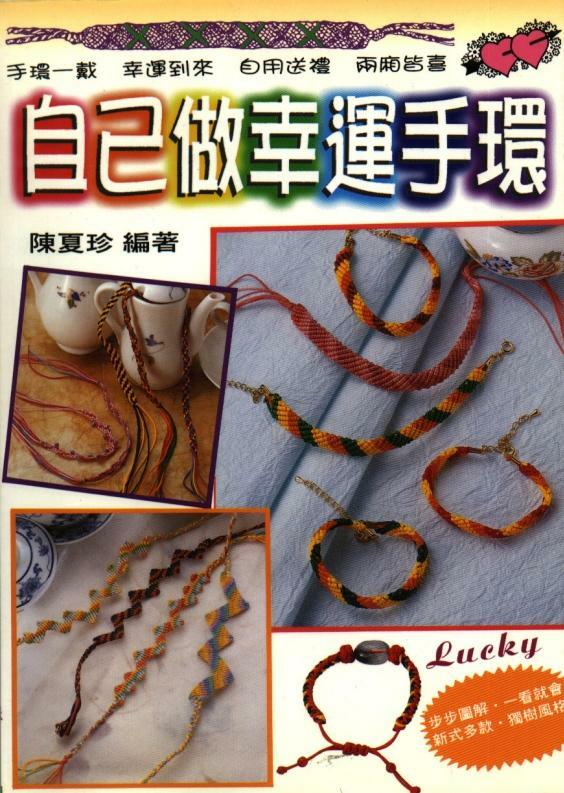 I surmise it to be either a lesson or a test plan for mastery of Chinese knotting (and you'd definately be a Master if you could do all the listed knots without instructions!). On the larger side of the DIY series, but numbered (seemingly) in sequence with the small ones, this installment is all about flowers (ok, there's a corn on the cob and some gourds in the back, but the instructions are all about flowers). 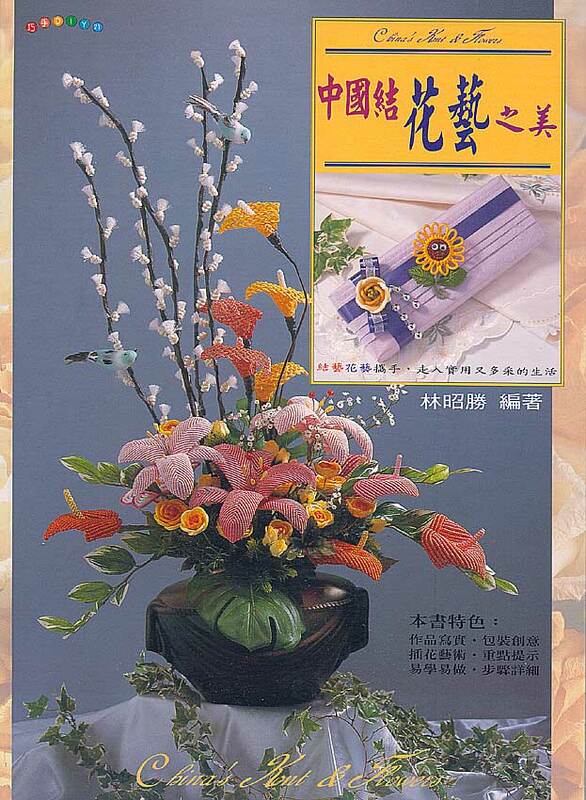 The cover image pretty much shows the variety of flowers that will be shown in the book. 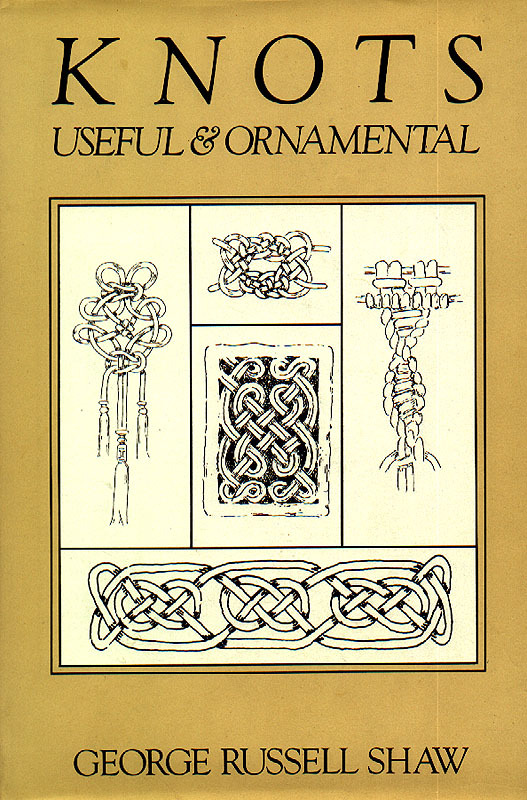 Covering a standard complement of beginner's knots used in "traditional" projects, there is nothing particularly distinguished or noteworthy about this volume. The instructions are all about flowers. A number of half-hitched (like you use to make friendship bracelets) petals and leaves are covered in addition to a mat-style flower and a crocheted flower. On the larger side of the DIY series, but numbered (seemingly) in sequence with the small ones, this installment is mostly for the inspiration. 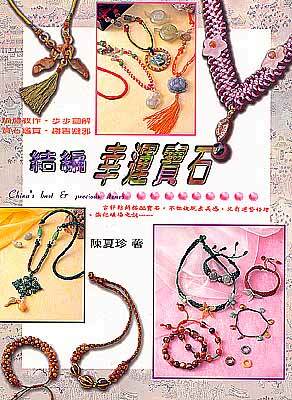 There are lots of pretty pictures, and a handful of basic knot instructions in the back (no project instructions). 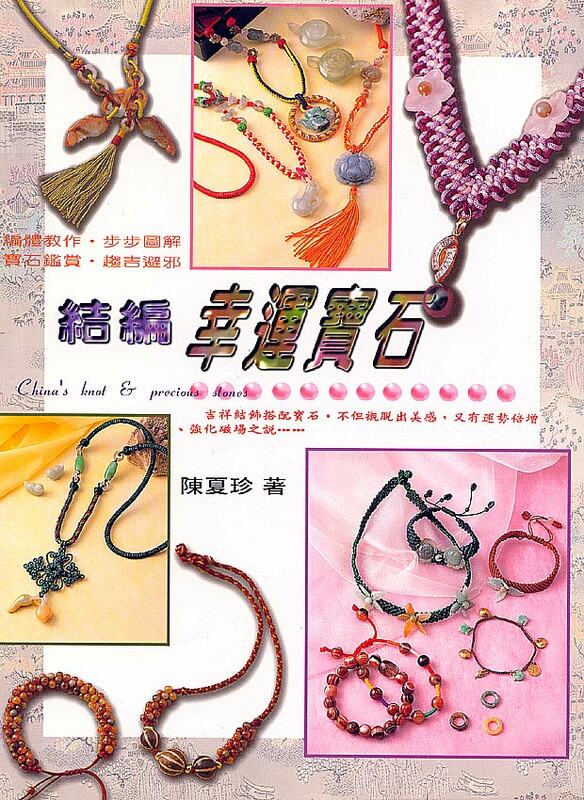 As may be deduced from the title and cover image, the works mainly feature semi-precious beads and pendants. There were 2 distinct covers for this book on the shelf when I was shopping. The contents were identical, except one had a picture of the author(?) and the other didn't. I picked the one that I felt had the better print quality/image reproduction which as it turns out was not the one with the author picture in it. 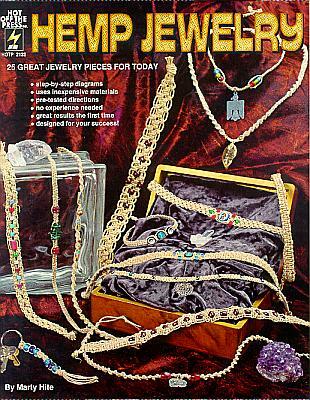 At this point I no longer remember if it was a different DIY number (I believe the bead series is numbered independently from the general handcraft series) or if it was a different publisher altogether. 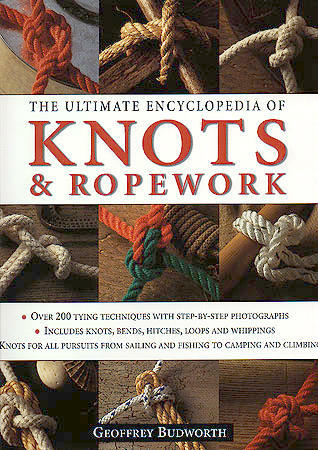 In any case, there are some knot instructions here, but it is not a basic knot book. Most of the instruction space is spent on finishing details: how to hide the ends, finish your knot so that it can serve as an element in a beaded work. 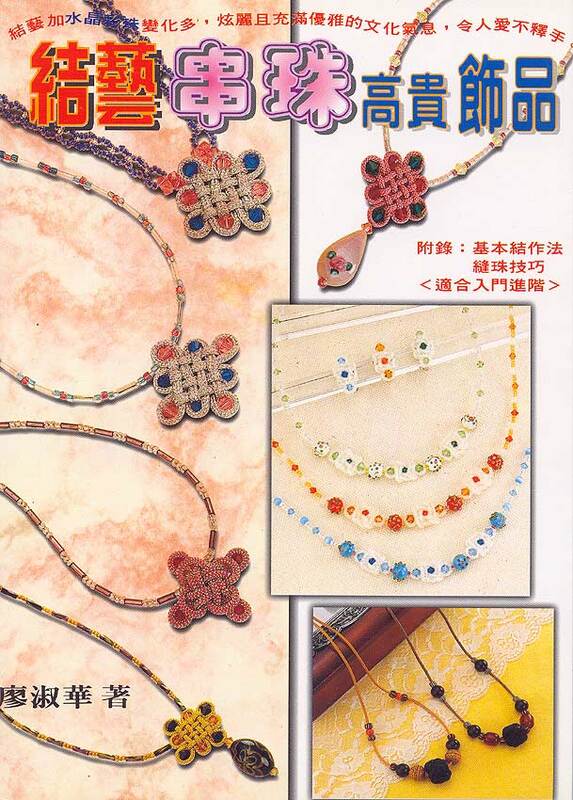 There is also some thread path stuff, but it is not a basic bead instruction book either. 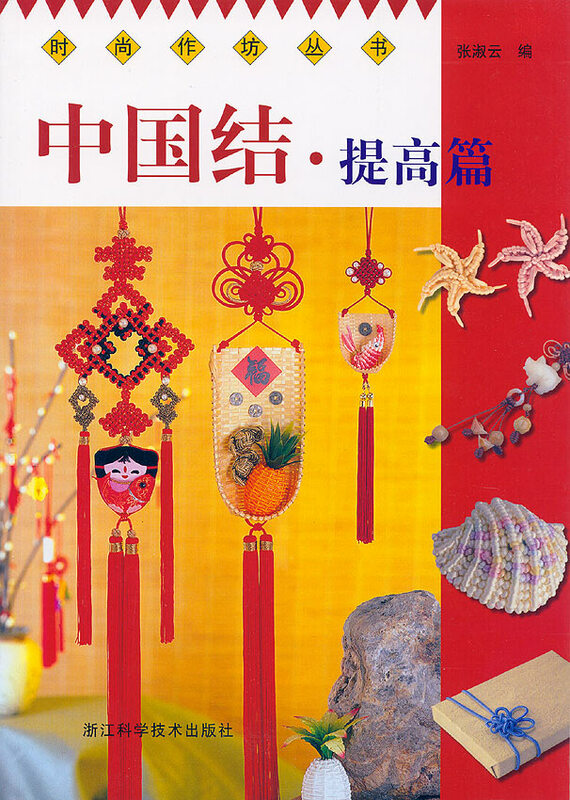 An unusual array of projects are covered including a dragon boat, some half-hitched sculptural projects, some ball covering knots and a number of Xmas wall-hangings. 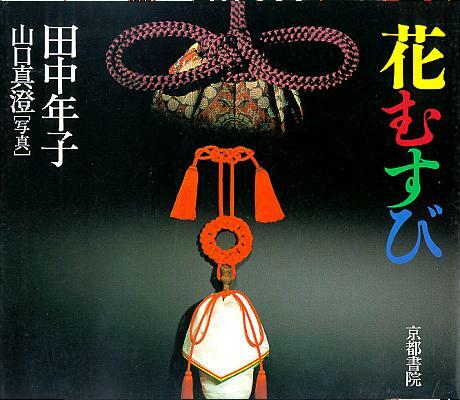 I think of it as DIY Deluxe, but haven't expended the energy to actually translate the title or to get a translation. 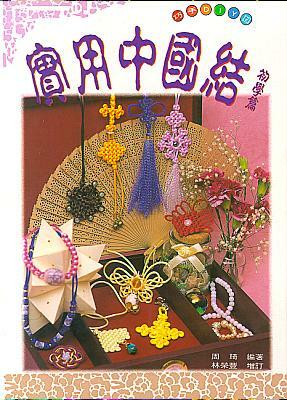 It is clearly related to the DIY series since several volumes are advertised in the dust-cover, although the book is much larger than the standard DIY series books. Many intriguing ideas are illustrated without instruction. The instructions begin with a few circular mats then moves on to the simple woven knot. The basic rectancular woven knot is soon modified into many fanciful shapes including hexagonal, triangular, and tear-drop. 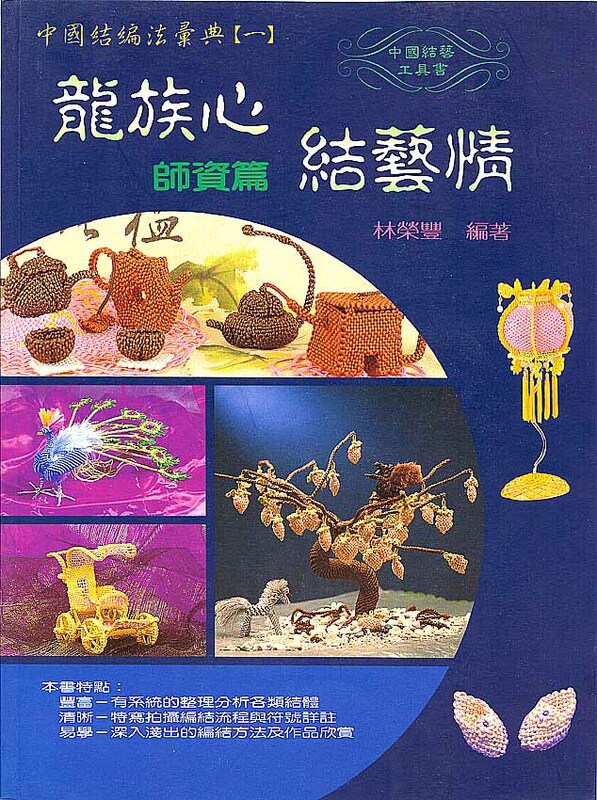 The end of the book includes many project illustrations with sketchy instructions for a few of them, including teapots, lanterns, and slippers. Many new knot variations involving interlacing two knots and "growing" standard knots by expanding a finished knot and weaving a new stable configuration. The instructions begin with a few more interlaced knots, then moves on to what appears to be basically a free form method of tying knots into any desired frame shape. The examples given are eye, heart, triangular and square shapes. 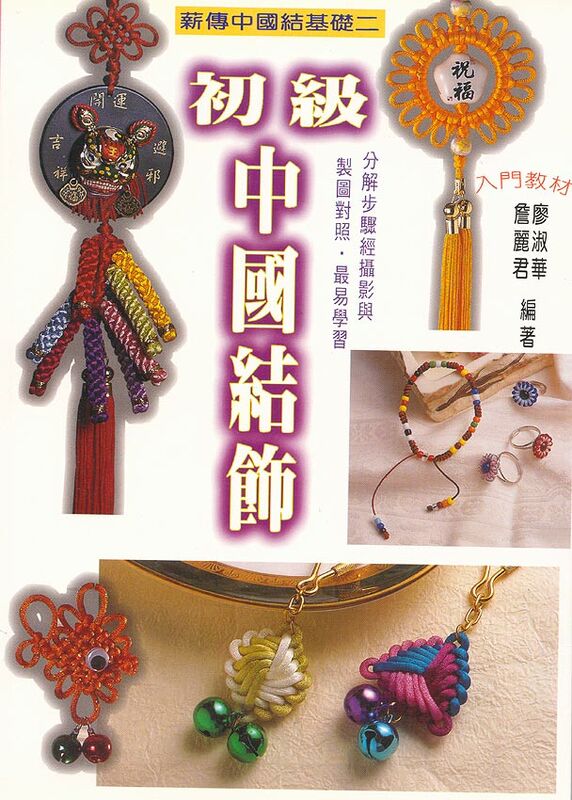 The book ends with vague instructions for some pendant projects, and inspirational illustrations of elaborate knotted sculptures including lobsters, pagodas and windmills. 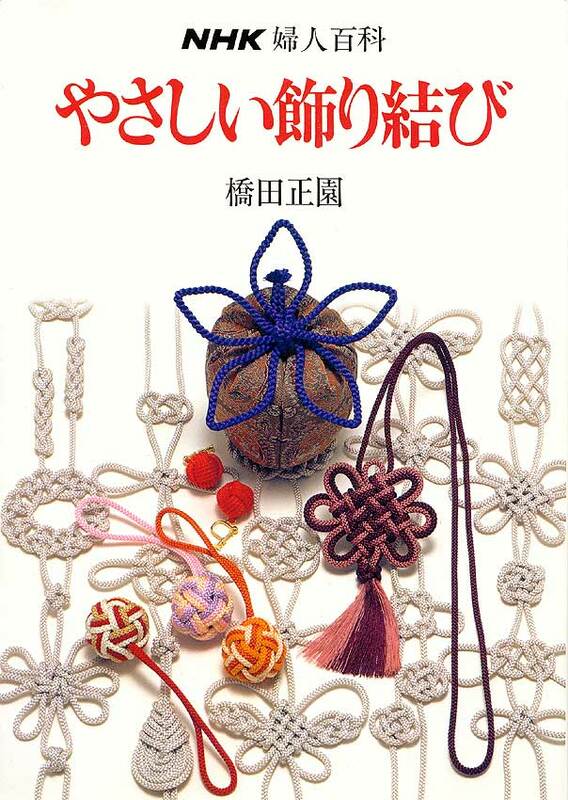 Japanese design sensibilities being what they are, the knots described in this book tend to be very simple single knot designs (for tying tea sacks) with a few knot chains for wall hangings and as part of a monk's costume. 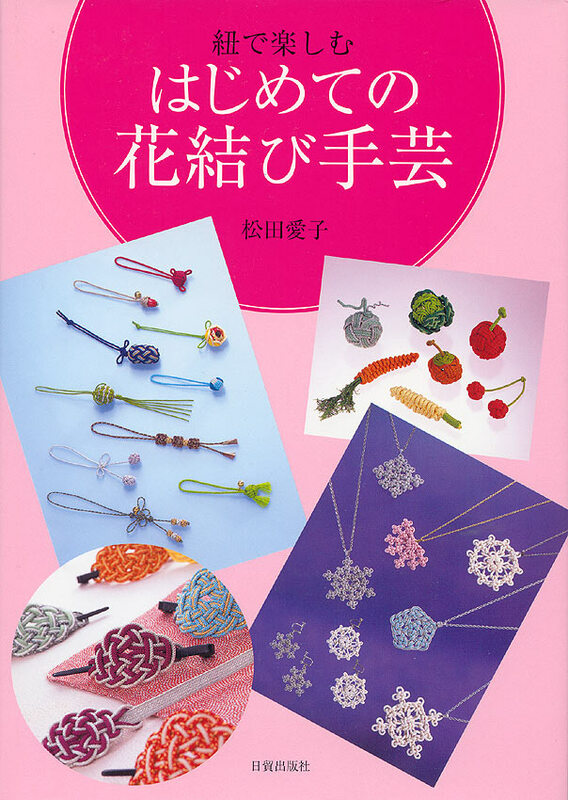 A basic book with instructions for knots and many small projects: pendants, keychains, small ornaments. 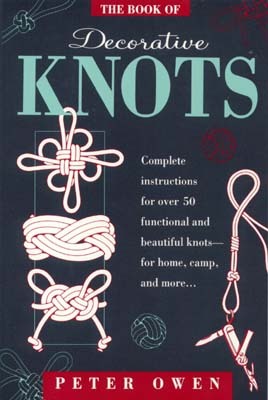 A basic book with instructions for knots and a few small projects. NHK is a television station in Japan. A friend visiting Japan mentioned that news magazines and variety shows didn't seem to do a number of stories during their time on the air. 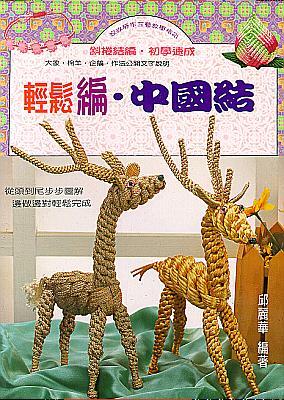 Instead they focused on one topic for half an hour and while he was there, he saw a show about decorative knotting. This is probably the book that goes with that show. If someone has this (or similar 8) on tape, I would very much like a copy. One of the nicer basic hemp booklets. Mostly chokers, necklaces and bracelets. 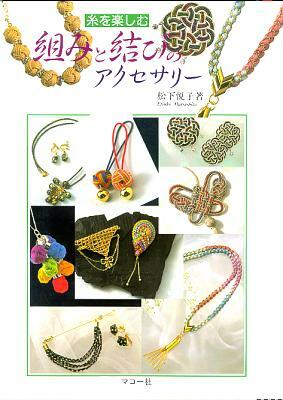 Buy this book from Amazon.com., Barnes & Noble, Amazon.co.JP. 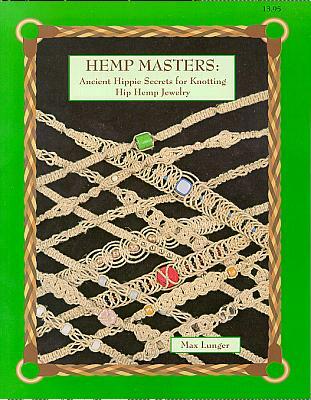 A neat book about hemp jewelry. The "Phish bone" knot is worth the price of the book alone. Buy this book from Chapters.CA, Amazon.com., Barnes & Noble, Amazon.co.JP. 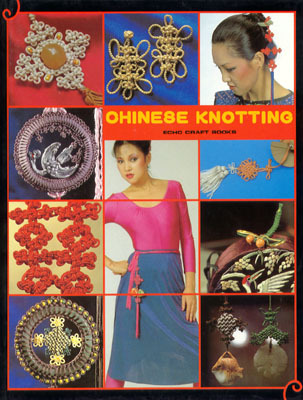 A gorgeous book that demonstrates some of the possibilities when you combine kumihimo and knotting. When the type of string is wonderfully textured, even the simplest knots seem more elaborate. 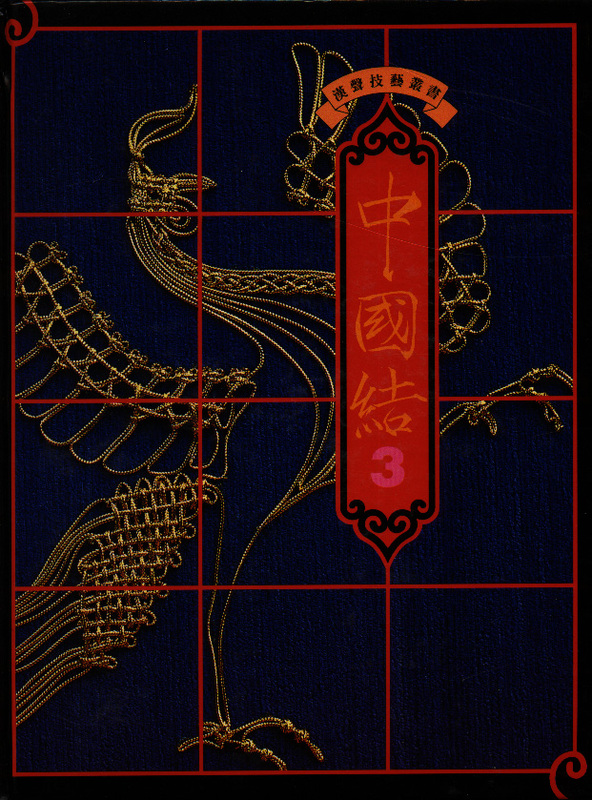 It is a very dangerous book that is leading me down a long path that includes raw silk and fibre dyes. Published in 1924, this volume is packed with hand-drawn illustrations. 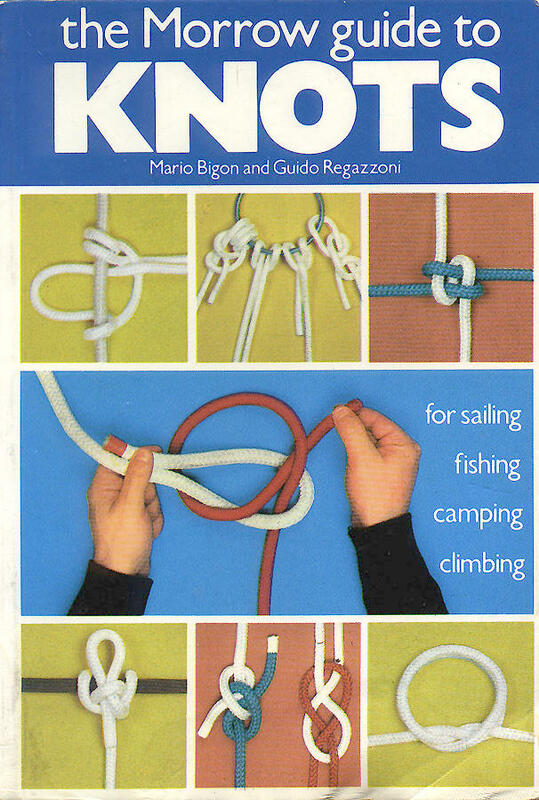 It covers a generic collection of useful knots and then wanders into interesting territory via macrame and tatting. 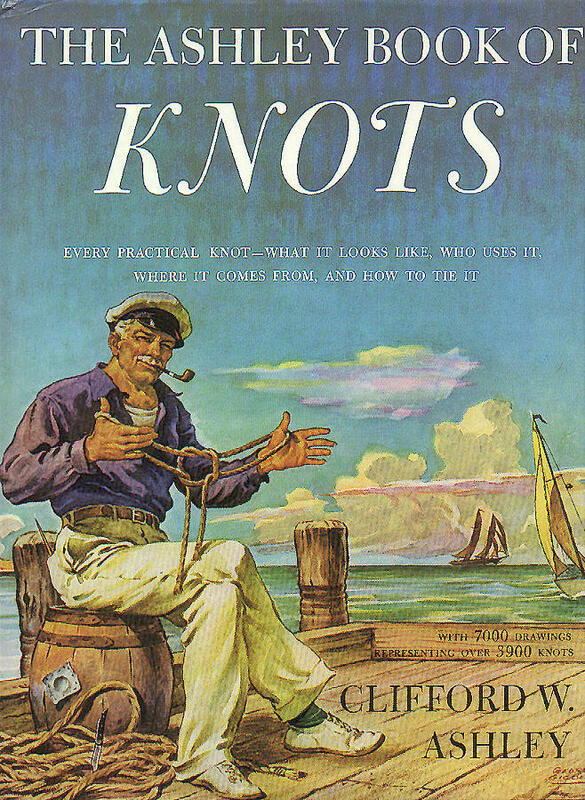 The illustrations are quite clear with the added benefit of variations on how to tie the knots. Other noteworthy features include descriptions of how to tie larger (more petals/ears) variations of basic knots and a few knots I don't remember seeing elsewhere. With coverage of most of the basic knots in a small and cheap package, this is a good one to carry around if you need the occasional reminder while working on a project. Publisher: Hollym International Corp., 18 Donald Place, Elizabeth, NJ 07208. There are also some dates which I guess to be printing dates: June 15, 1981 and February 20, 1989. 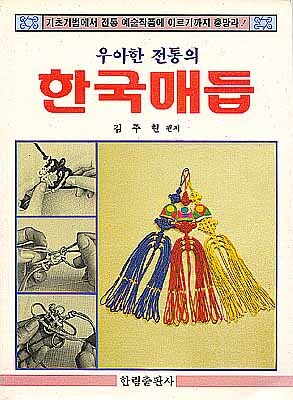 The instructions cover only the most basic knots with one exception, although some of the knots shown are fairly advanced. 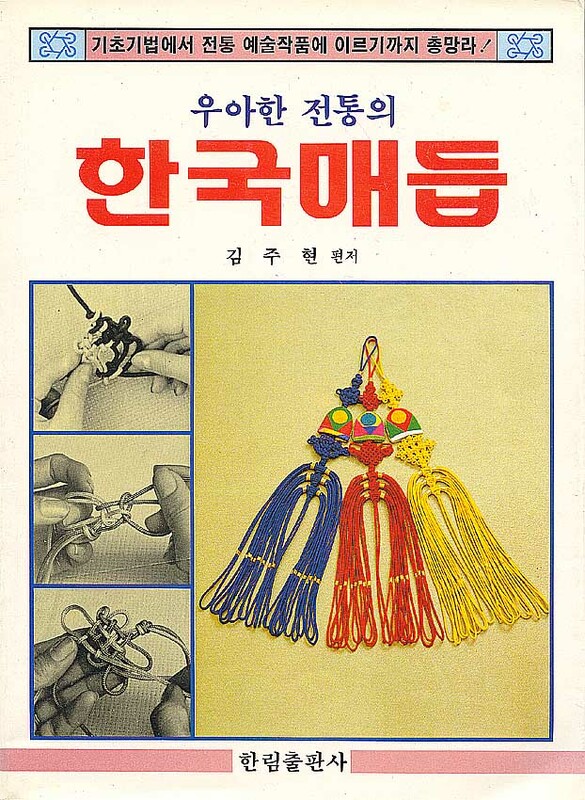 An interesting notation method is introduced for mapping projects, but the real prize is the number of tassel variations as well as the demonstration of Korean aesthetics in colour, cord type, and project design. 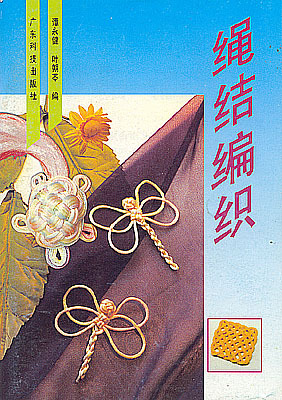 A small handful of Chinese knots are introduced and used, but the projects mostly consist of macrame done in satin cord, producing a very different look than the usual hemp. A gorgeous book that takes/(introduces ?) the treasure (bao) knot and shows a myriad of extensions and variations. Instructions are contained in an inserted leaflet with a few line drawings and some extremely terse text. See the link for an extended review of "The Treasure Knot" book. 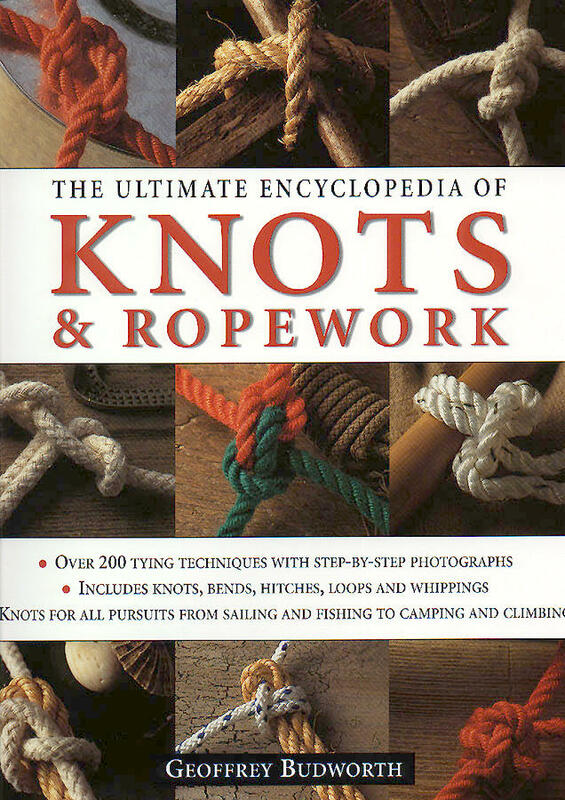 With instructions for only 5 knots, this book is mostly a project/idea book. There is some small amount of sequencing for the projects (a small series of photos of various projects under construction), so unless you know what you are doing for the most part, this will not be much help. There's a website listed in the front for more info. There's a website listed in the back for more info. The following books are all in English. 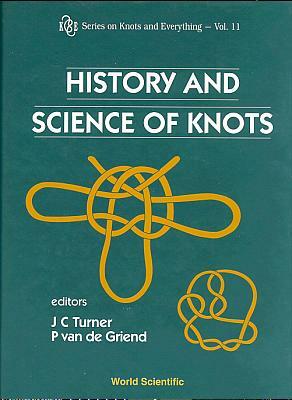 Clearly illustrated with line drawings of the process and photos of the results, this book is a collection of common practical knots with little historical snippets thrown in. 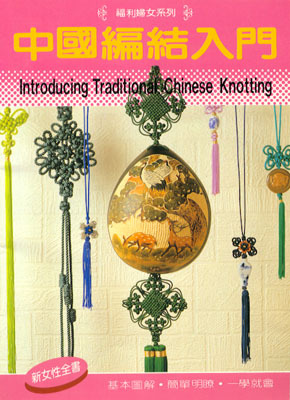 There is also a sequel dealing with decorative knots. 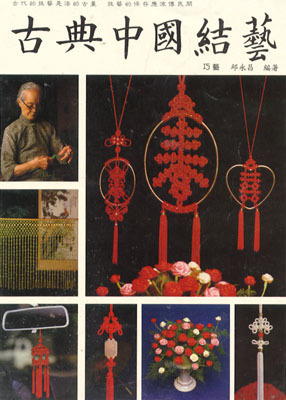 Illustrated with photos of the process and photos of the results, this book is a collection of common practical knots with little historical snippets thrown in. Not as complete as either Ashley or Graumont & Hensel, but with a lot of new knots (developed in the last 2-3 decades, some for use with synthetic materials). The official subtitle is "for sailing, fishing, camping, climbing" but it also has a small section for decorative knots and is nicely illustrated with photos of color coded rope. 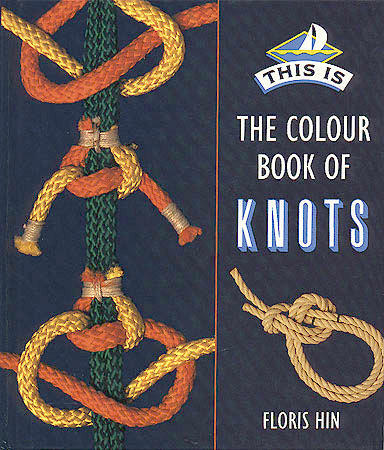 An interesting book with big bright colour coded examples such that the knots are easy to see and duplication fairly simple. 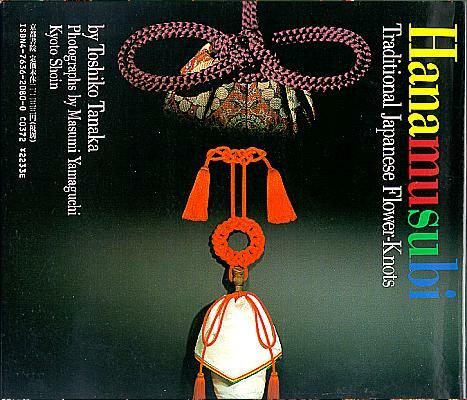 Buy this book from !ndigo, Amazon.co.JP, Amazon.co.UK. A nicely illustrated book with a very clearly defined scope. Like Ashley, this is a massive cataloguing of knots, and also like Ashley it is light on the instructions. 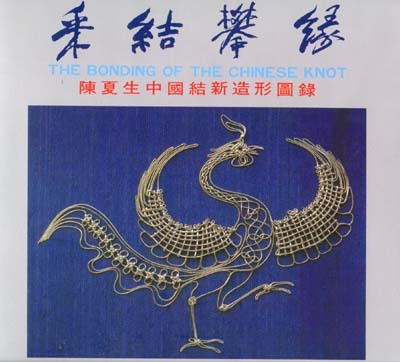 Combining real knot tying, knot theory and history, this is an interesting collection of essays including the "History of Chinese Knotting" by Lydia Chen. Buy this book from Chapters.CA, Amazon.com., Barnes & Noble, Amazon.co.JP (paperback), Amazon.co.JP (hardcover), Amazon.co.UK (paperback),	Amazon.co.UK (hardcover), Amazon.DE, directly from the publisher (World Scientific Publishing Company).